Most businesses we interact with ask us a similar question, "what makes your waste management and recycling services different from traditional haulers?" To fully answer this question, we need to touch on the current state of the waste industry and how it’s affecting businesses of all types and sizes.Traditional waste management cannot recycle efficiently. The industry is designed to send all materials to landfills using heavy, expensive and outdated assets.This results in only 10% of businesses recyclable materials actually being recycled. 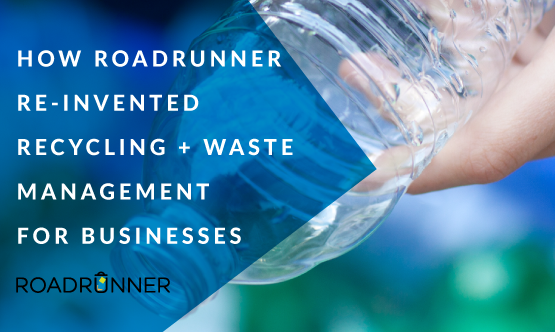 These industry inefficiencies are what inspired RoadRunner to find a better way to recycle. Our industry-expertise paired with our proprietary technology gives us the ability to create unprecedented value for businesses large and small in the United States. Our technology develops custom solutions as unique as your business is – designed to help you generate significant cost savings and ensure that 99.9% of your valuable materials collected for recycling get recycled.